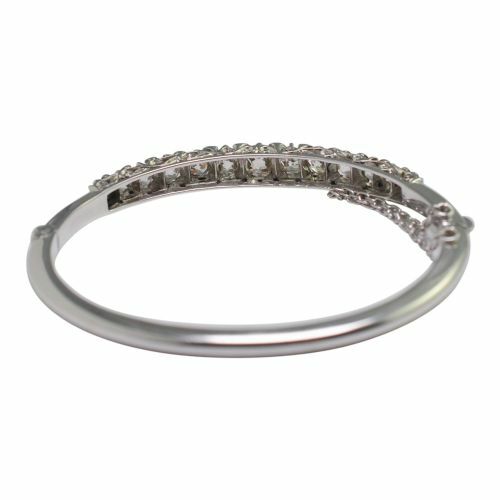 Edwardian diamond 18ct white gold bangle set with Old European Cut diamonds on a carved and scrolled half hoop. The graduated diamonds weigh 4.14ct and are very lively and bright with good clarity. 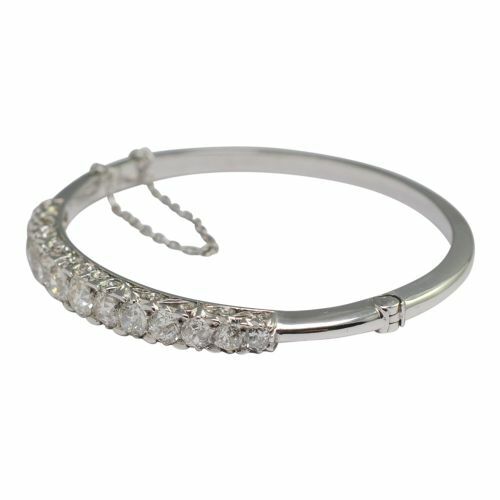 The bangle opens with a hinge to one side and closes with a box and tongue clasp. 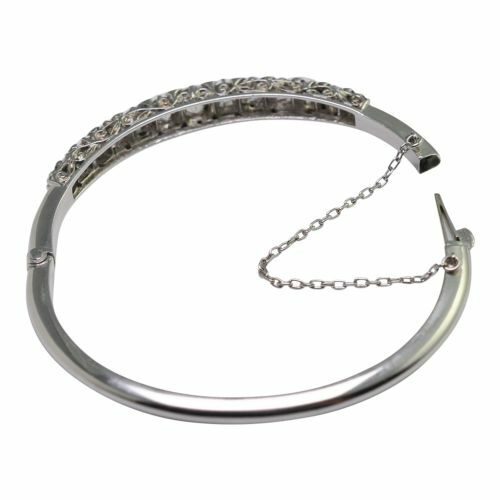 It is also fitted with a safety chain for added security. 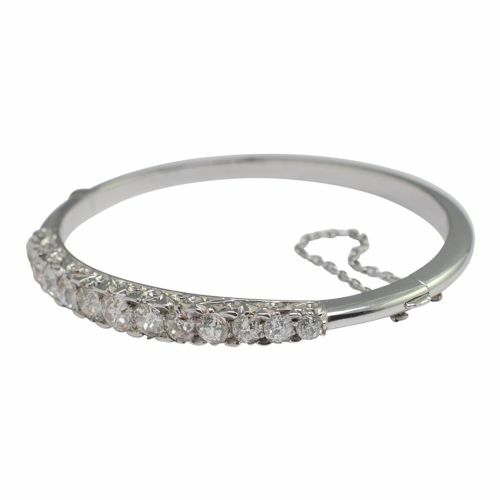 Weight 10.66gms; measurements, internal diamond 5.5cm (2 1/8? ), depth 6mm. Tested as 18ct gold. 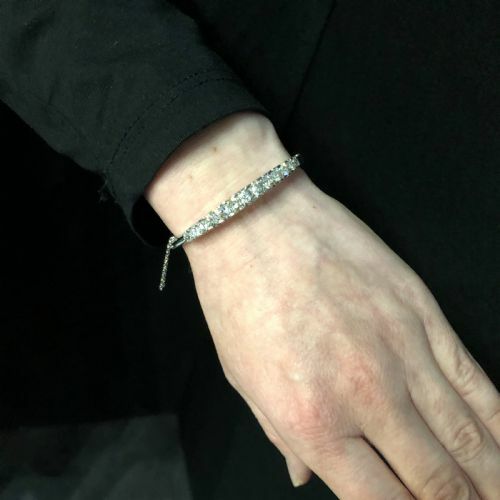 This beautiful bracelet is in excellent condition and dates from the early 1900s. 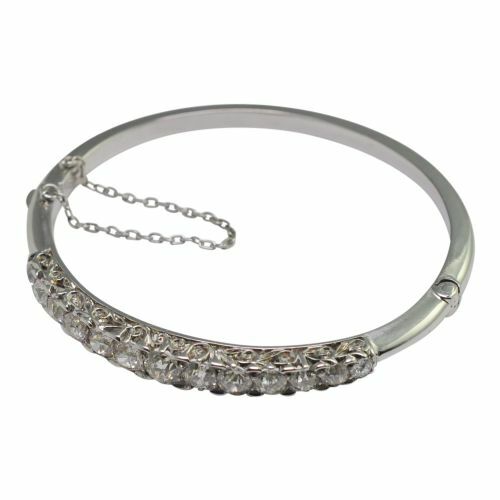 You can purchase an item directly from our website by credit card, debit card, American Express, or by bank transfer. Most orders will be processed within 2-3 days, once payment has been cleared. 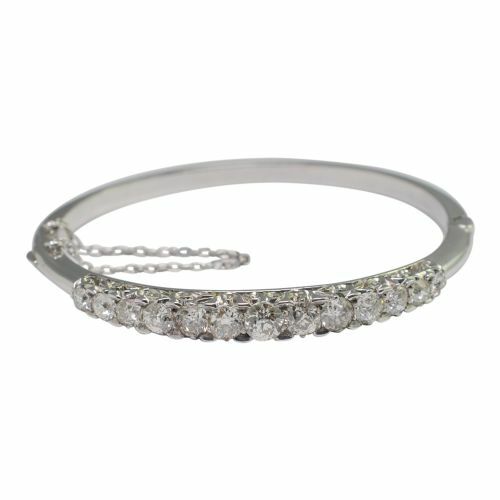 Also, as we do not keep any jewellery on the premises, 48 hours notice is usually required to access the vault. 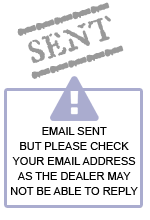 Please note: we do not keep any card details once a sale has been processed. UK orders will be dispatched by Royal Mail Special Delivery and insured by us for the full amount, free of charge. International orders will be dispatched by FedEx, UPS or Royal Mail. For enquiries about international orders, please contact us directly by calling: +44 (0)7973 715321, or by email: info@plazajewellery.co.uk. If for any reason, you wish to cancel your purchase, as this order has been made through distance selling methods, you have the right to cancel within 14 days. You must inform us in writing of your intention to do so within 14 days, after which time the cancellation period will expire. The goods must be returned to us, fully insured by you for the amount paid, and in the same condition as when they were sent, with no alteration or damage. Please include your original copy of the invoice. We will refund your purchase, exclusive of postage costs, usually within 14 days of receipt of the item. We will confirm receipt of the goods and refund by email. Refunds will be made by the same method as payment, and in the case of credit or debit cards, to the original card used to make the purchase. 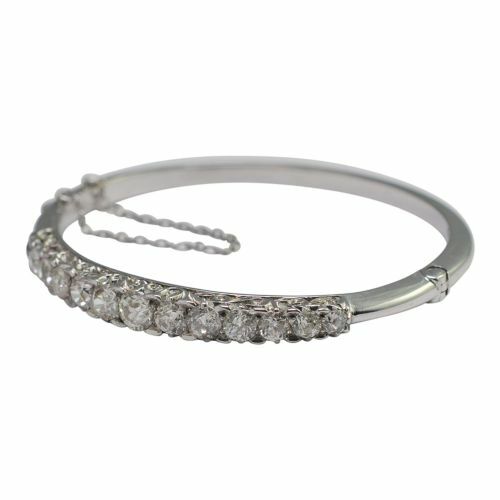 The Edwardian Diamond Half Hoop Gold Bangle has been added to your saved items.